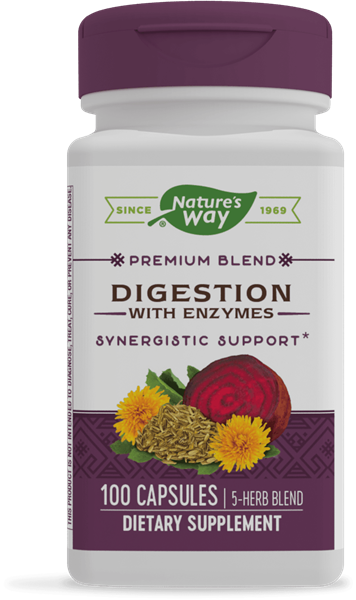 Digestion / 100 Caps - Nature's Way®. Take 2 capsules at mealtimes. Caution: Do not use if you have stomach or duodenal ulcers, stomach irritation, or inflammation. Individuals with allergies to plants of the Asteraceae (Compositae) family, including ragweed, should use this product with caution. If pregnant, nursing, or taking any medications, consult a healthcare professional before use.